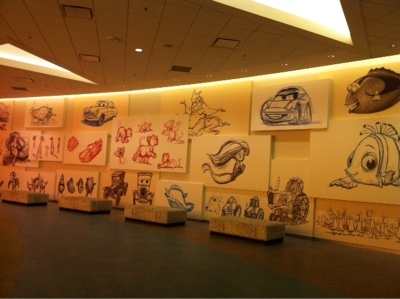 Orlando Visitor: A Look at Disney's Art of Animation Resort. Orlando, Florida. 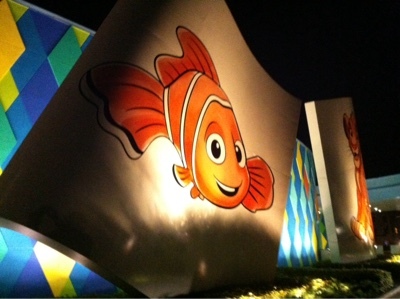 A Look at Disney's Art of Animation Resort. Orlando, Florida. 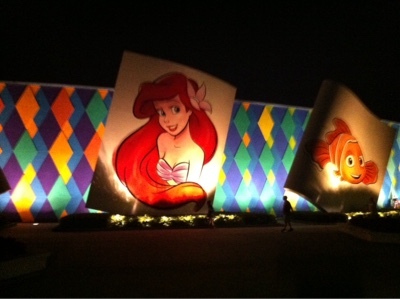 After writing a blog in 2012 about the building of The Art of Animation Resort. We finally visited and I was very impressed. Arriving in the dark gave an awesome view of the entrance decor and once inside the foyer was decorated with amazing animation sketches of Disney Pixar movie characters, the area was filled with bright artistry. The outside and pool areas were filled with themed figures, ornamentation and fun themes from the Disney Pixar Films. 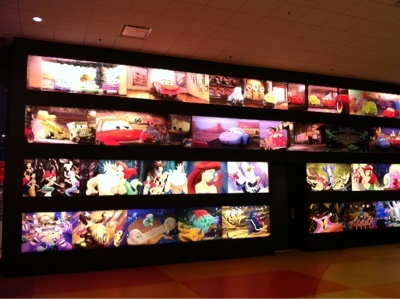 Room and family suites are themed on 'The Little Mermaid, Finding Nemo, The Lion King, and Cars’. There is a quick service restaurant area called Landscape of Flavors, again with great design artwork. Plenty of activities for children including, pools, a playground, jog trail, video games arcade and movies under the stars. It is a Value Resort, great for families to enjoy that all round magical Walt Disney World Vacation. Walt Disney World, Trash Cans. A Thoughtful Sign at a Disney Resort.